So you ask, why should I buy a poodle from Jeff and Tracy at Blue WIllow? Integrity. We have worked on homes for the same families for more than 15 years in our interior design business. We have become close friends with the people we work for. I do great work and I stand behind the work I do. The same holds true with poodles. We sought out good healthy stock. We test before we breed. We breed to good stock. 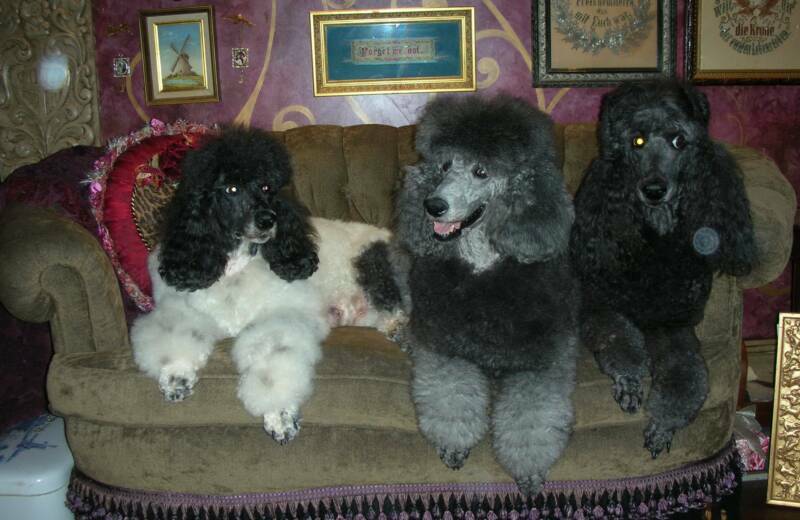 We continually gather information about the health issues of poodles. We try to learn enough about people before they buy a dog so that we can help them find just the right dog. We have made new friends with poodles also. We intend to continue those friendships as the years go by. If you have any questions about our poodles please contact us. We look forward to talking with you over the phone or internet. If we don't currently have the right dog for you, the chances are that we know someone who does.